Arabie is a popular perfume by Serge Lutens for women and men and was released in 2000. The scent is oriental-spicy. The longevity is above-average. It is being marketed by Shiseido Group / Beauté Prestige International. Serge Lutens had a very special souvenir in his luggage when he returned from a trip to the Orient. Back home again, he dreamed of the wonders of Arabia, of serails and the fairy tales of 1001 Nights. Inspired by the scents of oriental markets, he created a perfume in which he combined components that smell particularly good when dried. and on to the spice bowls with cumin, nutmeg and cloves. Thus the connection to the serails is obvious, in which one gave oneself to physical pleasures of any kind. Arabie is a very sensual composition. There is no fragrance process of head, heart and base in the usual sense. With the first drop she shows a presence that is unparalleled. The dried fruits and spices form a bond and unfold a full golden warmth on the skin. Sandalwood and cedar resins contribute with woody notes and almost convey meditative peace and relaxation. This mood seduces me to a journey through time. I see myself sitting in my grandparents' kitchen. It was in the pre-Christmas period and while my parents continued in their hectic activity, I found here the contemplative hours that make the togetherness so valuable. the nutcracker, the smokehouse, the shell with mandarins, nuts and gingerbread. A delicious spicy fragrance rose into my nose and made me understand that Christmas Eve was not far away. With the help of my grandfather I wrote wish lists and often the anticipation of a toy was much more intense than the gift itself. When I was two and a half years old, the following story happened, which I have no memory of, but which was recorded on tape. My parents had placed numerous gifts under the Christmas tree, including an expensive doll's pram with a doll inside. When I was called into the living room and saw the decorated tree with all its lights, I was so impressed by this splendour that I did not take note of the toys. Only one small mushroom, which was attached to the tree, attracted my full attention. Arabie with its room-filling opulence radiates a full, spicy warmth even after hours on the skin. A few dried fruits and spices are enough for a little luck. He who sits in the dark, lights himself a dream. What is better suited as stimulation than a beautiful scent?! I wasn't in a luxuous drugstore when I tested for the first time "Arabie", but at the market . It was so unexpected to find a precious fragrance like this one in that popular place! Well, I sprayed it and my olfactive trip began: smelling the spicy and smokey notes combined with the dried fruits and the resins I imagined to be in a middle eastern suk or also in a wonderful oriental palace. All the notes are perfectly combined with a wonderful, powerful and longlasting result. This fragrance is rich without beeing too heavy and it's a real masterpiece. Unfortunately, the price is high and I can smell it only from the drugstore testers! My great-grandmother wore her knee-length snow-white hair artfully attached - and was also otherwise a beauty. Old photographs prove this irrefutable fact. No wonder the company Dralle wooed her as a model for her hair lotion. But Uromi's parents found such a job unbecoming for a decent girl and vetoed it. So Franziska von der W. didn't end up on the glossy magazines, but in the family album. But the products of Dralle were still appreciated. So is the aromatic spice soap in its attractive packaging - a ship heavily laden with the treasures of the Orient. Arabie could also be packed, because its start reminds me of the well-known soap. This ship is loaded up to the railing with spices, so that it rolls easily. Dates and figs are rolling over the planks - next to stacked wooden boxes filled with nutmeg, sandalwood and tobacco. The Hanseatic merchant made a good deal, and also bought bundles of cistus roses. Satisfied, he walks across the deck, and perceives the resinous trees on the shore. Distance is in the air. A rewarding journey - with me as a blind passenger on board. “Arabie” is the first perfume I've sampled from the renowned house of Serge Lutens. Having read numerous reviews of his fragrances, ranging from the words of high praise, to the comments insisting that while the fragrances are unquestionably unique, they're practically unwearable, down to the utterly negative reviews, I became quite curious about what effect Lutens' creations would have on me. 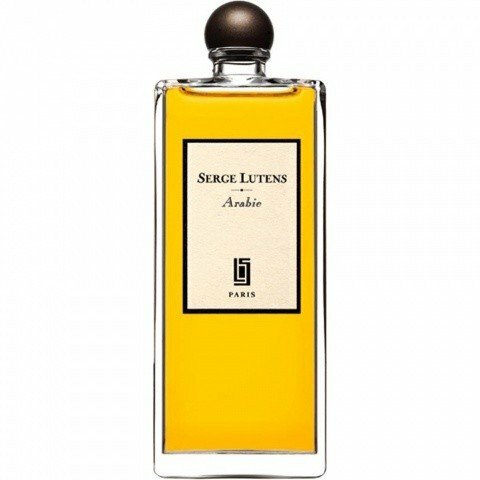 As the name suggests, “Arabie” is supposedly a bottled replica of the aroma exuded by an Arab market (or a Moroccan market, with which Serge Lutens must have some “nose-on” experience). I've never been to an Arab market but should “Arabie” capture its olfactory atmosphere even semi-accurately, visiting a place like this goes straight onto my bucket list. From the very beginning, “Arabie” announces its presence on my wrist intensely, first with spices, the most dominant of which is cumin. The cumin is joined by nutmeg and cloves. Also, in the background, the dried fruits start to emerge and gradually reduce the spiciness and add a dash of sweetness to the composition. The sweetness in the heart and the base is further sustained by the date. My final verdict: “Arabie” is an adorable scent. I especially like the fact that it lives up to its name and proves that even in today's perfume industry there are still individuals bold enough to translate their visions and dreams into fragrances without being too concerned about the criticism they may attract. “Arabie” is a rather challenging perfume as it preserves its dense, spicy-sweet aroma throughout its development. Yet at the same time, I see it as a very promising introduction to the Serge Lutens line and, oh boy, now I can hardly wait to try some more! Fruits, spice... and everything nice. This is a fragrance with a personality! I really love how the fragrances of Serge Lutens manage to challenge me constantly. To me that is a sign of a very good fragrance you don't want a fragrance which is too predictable or similar to the same trends time and time again. Instead, here I find a fragrance which challenges my nose and which gets me interested. What I love about Arabie is that Lutens and Sheldrake have thrown away the rule book here. Instead of having a top, middle and base, you get the whole weight of the fragrance in one spray. As soon as you spray you get the spices, the stewed fruit, the amber and resins and myrrh. It's an explosion of colour and spice all at once. To me it smells very festive, like Christmas in fact. This is like rich heavy desserts of spiced fruits and rum and deep, rich flavours. Some people say this smells like cooking. If that is true, then to me this represents more of desserts and dried fruits, or the process of making them. Cloves, cinnamon, plumbs, apricots & raisins. All these I get out of this fragrance. Very Moroccan! All these ingredients are found in Moroccan and Arab North African cuisine. The ironic thing is that this fragrance is named Arabie, which means "Arabia". Now to me, anything "Arabian" (when applied to fragrances) means Oud, or Agarwood. Here, Sheldrake has interpreted all of these "oriental" notes through fruits and spices (and not with Oud). So I find it original and creative, and I really admire this fragrance. Personally, I think to wear this one you have to be confidant in yourself, because people will notice that you smell "different". Basically you will smell like a walking, spicy fruitcake. But in a subtle way, because I want to stress that there is nothing too loud about this fragrance. People will smell you but it's not a beast. Overall, I would advise people to wear this in cooler weather, and especially around Christmas. If anything, to me Arabie is the perfect Christmas fragrance. You could wear it all year round, but you need the confidence and personality for it, as you will be noticed, and in a good way too. Very original and creative effort by Lutens and Sheldrake with this one. Good stuff! Arabie certainly has clove in it, but the clove doesn’t overpower the rest of the notes, although very noticeable. In a small way, it reminds me of L’Artisan’s Piment Brulant, but only because they both share a clove note. Arabie is definitely gourmand, while PB is more like a vegetable garden, raw and uncooked. Also, Arabie is definitely sweeter than PB because PB isn’t sweet at all. I suspect most people will either love it or hate it. It seems to drown itself, during drydown, in a watery base, as I suspect is typical with most Serge Lutens scents. Overall, during drydown, any pleasant smell is gone. I can certainly live without Arabie. Dried or old fruits? Maybe. Arabie must be worn for several times in order to be understood. I did hate the first times, and now i do recognize a unique and wonderful smell on this. Lots of dried fruits, cloves and nutmeg all over a resin base that makes this fragrance really complex and challenging. Arabie makes me understand the attraction of the dessert or gourmand fragrance, a category that otherwise doesn’t captivate me. Granted, Arabie is spared from the gourmand category by its emphasis on woods, but it is also sweeter than many gourmands, so the distinction seems weak. Yes, Arabie is over the top: too much spice, way too sweet, too many dried fruits macerated in syrup. All true. But isn’t it lovely? Applied with a moderate hand it is my favorite sweet fragrance. I can’t say that there is any particular element that actually balances the sweetness, but the benzoin twists the sweetness a bit and makes it appealing. I adore this fragrance, although it did take some getting used to. Arabie is one of those deliciously strong and potent spicy orientals that you can't stop admiring. It's also borderline gourmand, having a fascinating syrupy accord that really adds to its appeal. At first, Arabie reminds me of clove cigarettes. A little smokey, aromatic and strong. I was intrigued by the top notes even though they burnt my nose hairs. The dense spices really enveloped me in something I can only describe as being a guilty pleasure. 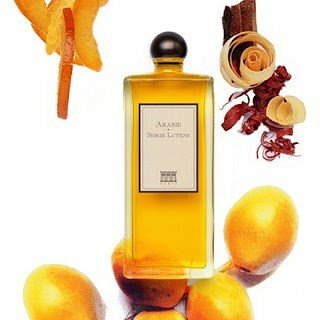 In time, Arabie takes on an interesting sweetness, somewhat like the scent of golden syrup and dried fruits. Perhaps a little boozy at times too. It reminds me a little of Annick Goutal's Ambre Fetiche, just a less incensey version. The more I smell Arabie, the more complex the composition. There are so many notes to discover. The scent is mostly deep, rich and heavy on the spices, although occasionally the boozy woods take over. The longevity and sillage are great, definite quality, there's no doubt about it. It's quite an addictive olfactory experience, one that I'm glad I took a chance with. Arabie, for me personally, is something I enjoy but would probably never wear. You have to be the right person for this fragrance to really shine. I am not a big fan of cumin notes in scents....or rather I am not a fan of BIG cumin notes in scents. Kingdom was just too troublesome & stomach-churning for my tastes. Luckily, Arabie is not a cumin-criminal on my skin...just a pseudo-exotic, candied fruit & spice-bomb with good bone structure & a sweet tooth. Scent-pictures float by: apricots in brandy, orange peel & spices warmed gently before the wine is added for mulling, aged balsamic vinegar, pot-pourri, opening the lid of my spice box (complete with rogue, ancient, crystallised raisins....when will I remember to use them?! ), wardrobe-wood (that peculular peppery/dusty old wood scent with a touch of mouse), my sweet Christmas fig chutney...I reckon that Arabie would taste delicious with a nice blue cheese! Arabie's fume family is easy to trace: Aziyade tucking into a tub of candied fruits & peel, Kenzo Elephant clinging to my scarf & tinkering with the fruiter edge of XS Extreme girl. On my skin it is fruits & spice & all things nice dolloped on in bucket loads (Arabie is not shy). I like bold & spicy fragrances, so I enjoyed the big personality & fierce opener that greeted me. My old RE teacher wore something like this - big & bosomy, loud & dramatic with crimson lips & jet black hair, a huge smile or a snarl always accompanying her sharp wit. Arabie has strength & will last all day, bowing out with a sweet amber sigh. Maybe that's what grates: the sugar content. I think I need a diabetic version! Keep the spice, remove the cumin & chuck in some more parched & resinous woods to even out all the dried dates & treacly jam. All-in-all a strong like from me....but I can't help thinking that Lutens went easy on his magic faery-dust here. 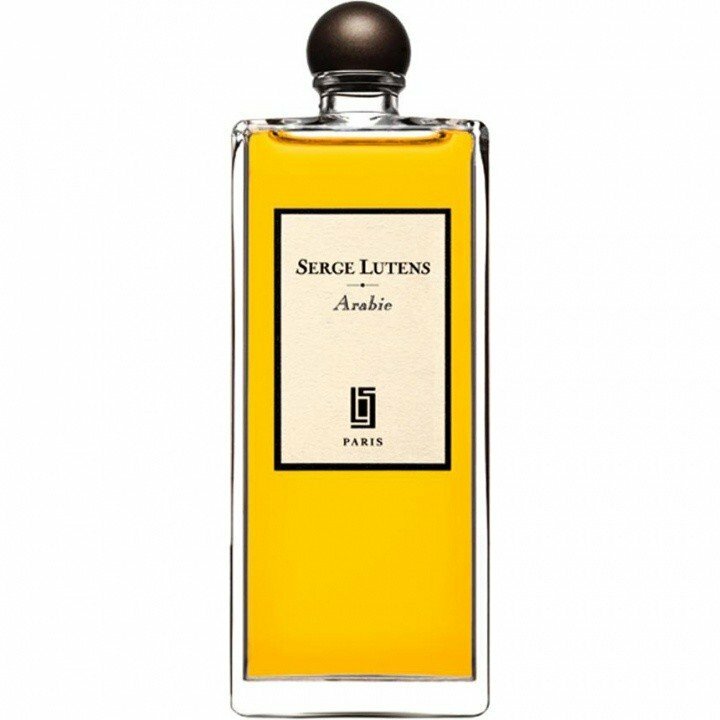 "This smells familiar" was the first phrase out of my mouth upon applying Serge Lutens ARABIE. Then it only remained to determine what, precisely, I was reminded of by this intoxicating—or is it suffocating?—perfume. With the help of many able reviewers at various locales across the world wide web, I have deduced that ARABIE approximates a collision of my grandmother's brandy-soaked dark fruitcake (not the wimpy light kind, but the one that is black as night, filled with raisins and dates and pecans and candied maraschino cherries and citrus rind, and so drenched in brandy that you could actually catch a buzz from eating a slice) and morrocan couscous with a very strong curry piled up on top. Or perhaps my grandmother, her sight failing as she grew older, reached for the cumin instead of the cinnamon as she prepared her cake? What an odd assortment of rich and dark notes! But is it perfume? I think that, in the end, the combination of the dark, boozy fruits and the cumin-rich curry just puts me over the top. Similar to the way I'd feel if I feasted on a huge curry dinner and then my host insisted that I eat a fat slab of fruitcake before permitting me to leave. As the flavors mingle in my aching stomach, I begin to feel like a pot of chutney simmering on the stove, thick gurgling bubbles fighting their way slowly to the surface before popping. My speech begins to slur. My head is spinning, and it seems that I might actually hurl. There is simply too much going on in this kaleidoscopic culinary composition. In a word: No. De trop! If ever there were a "try before you buy", ARABIE would be that. Does cumin mingle well with your skin? Spritz on this powerful potion and observe your friends' behavior. Do they appear to be sitting farther away from you than usual? This is one amazing whirlwind of a scent. There are so many aromas swirling in this perfume. Sweet stewed fruits, rich resins, warm spices and something that somehow evokes the image of a wild nocturnal animal in a dark forest. I imagine that what I am picking up is reminiscent of the natural animal notes used in classic perfumery – things like ambergris, civet and natural musk. I've always wondered what the term animalic meant, and I really think I get a hint of that quality in this perfume – it somehow smells alive. This scent is dark and exotic and truly one of the most uniquely complex creations I've ever smelled. It also has this intriguing quality in that, when sprayed on my wrist, it smells different in the center (where I imagine the spray hits the heaviest) than on the sides of my wrist where the scent is not just fainter but of a different character. The “edge” of the scent is somehow more ethereal than the dense center - with a powdery sweetness and a hint of something vaguely like calamine lotion or coca cola. Fascinating though it is, I'm not sure it is something I could wear - it seems a bit too masculine for me. I can see this being intoxicating on a man. Sometimes just by looking at a salad you know that the taste is wonderful. This is a fantastic salad of dried fruits, smoky resins & woods.